If you’re like most motorcyclists, you understand the vulnerable position you’re put in when sharing the road with automobiles. You’re careful, you follow the rules of the road and practice defensive driving, but there are still times when it’s impossible to avoid being involved in a motorcycle accident. Being prepared for this possibility includes buying motorcycle insurance that covers all the eventualities, including the costs to repair the bike and any medical costs associated with injuries. But, sometimes the responsible party’s insurance company either refuses to pay for damages or proposes a payout that is quite a bit lower than the actual costs you’ve incurred. Fortunately, you’re not out of luck if this happens. 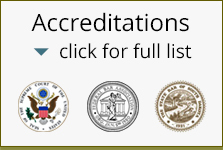 Personal injury attorneys like those at Rapid City Attorney’s (RCA) can step in to negotiate a fair settlement. In most cases, your attorney should be able to come to an equitable agreement with the insurance company. But, if they are still refusing to cover all the damages you incurred due to your accident, you’ll need to bring an accident lawsuit against them. The motorcycle accident attorneys at RCA have decades of experience successfully trying cases against insurance companies. They will prepare an accident defense that ensures the case will be settled in your favor. At Rapid CIty Attorney, we understand that even when you follow motorcycle laws, accidents can happen and the recovery can be long and difficult. It’s our goal to take all of the worry out of your hands. While you focus on healing, we’re working to make sure you get the money you deserve. Rest assured that your South Dakota attorney is doing everything possible to make this time easier for you. Feel free to contact RCA to find out what your rights are in the case of a motorcycle accident. We’re committed to making sure that all of your costs are covered.